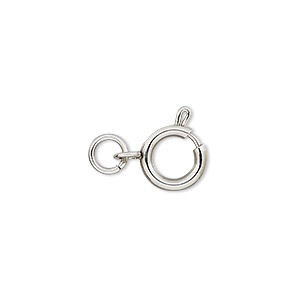 Clasp, springring, stainless steel, 12mm with open loop and jump ring. Sold individually. Item Number: H20-A2205FN Have a question about this item? 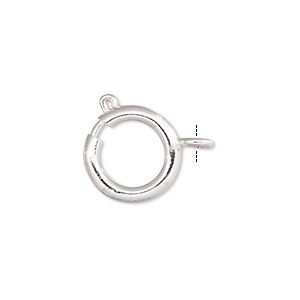 Finish off jewelry designs with a stainless steel springring clasp. 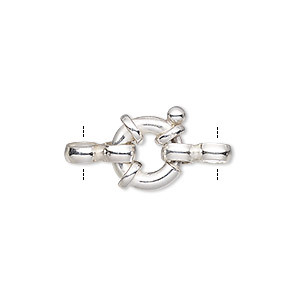 This clasp is resistant to rust, oxidation and discoloration to provide durability, strength and long wearability. 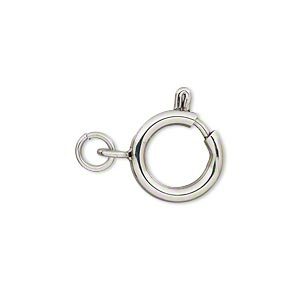 Stainless steel clasps are not plated and will not fade or chip over time. 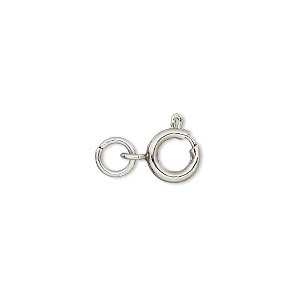 They are machine-made for consistent size and shape. 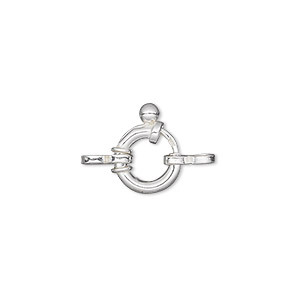 Clasp, springring, stainless steel, 8mm with open loop and jump ring. Sold individually. 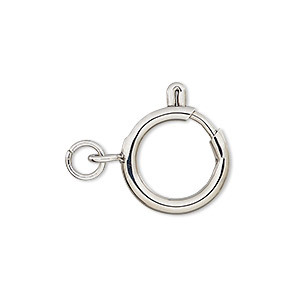 Clasp, springring, stainless steel, 14mm with open loop and jump ring. Sold individually. 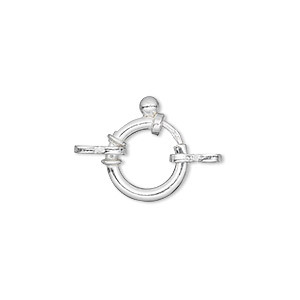 Clasp, springring, stainless steel, 16mm with open loop and jump ring. Sold individually. 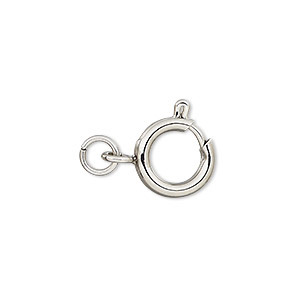 Clasp, springring, stainless steel, 10mm with open loop and jump ring. Sold individually. Clasp, springring, stainless steel, 6mm with open loop. Sold individually. Clasp, springring, steel and stainless steel, 5mm with open loop. Sold per pkg of 2.